(RFE/RL) — Austrian far-right candidate Norbert Hofer has been defeated in Austria’s presidential race by rival candidate Alexander Van der Bellen, who is supported by the Green Party. Hofer’s Freedom Party of Austria conceded defeat in the December 4 runoff as initial projections showed Van der Bellen leading with a tally of around 54 percent to Hofer’s 46 percent. The victory for Van der Bellen, 72, concludes a tumultuous presidential race in Austria that saw two runoffs as he and Hofer, 45, offered very different visions of the country’s future. 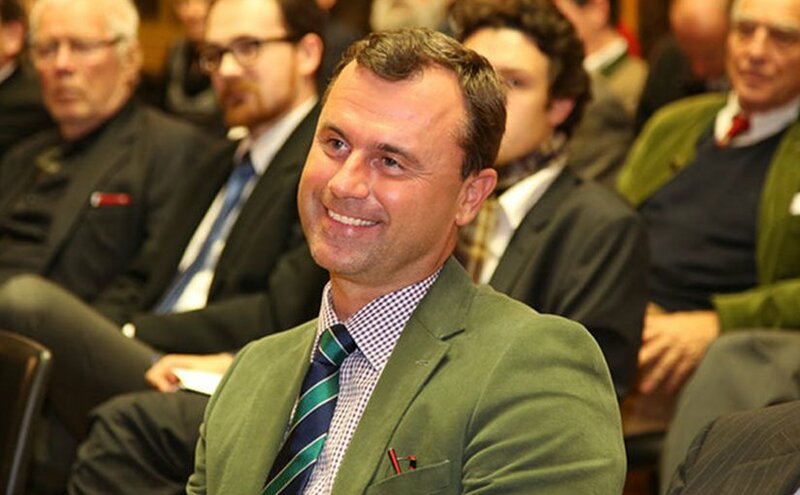 Austria’s Norbert Hofer. Photo by Franz Johann Morgenbesser, Wikipedia Commons. A victory for Hofer would have made him the first far-right head of state in a European Union member state. Hofer, who was trained as an aeronautical engineer, had promised to “put Austria first” by introducing strict border controls and banning Muslim women from wearing the all-encompassing burqa in public. He also had told voters that “Islam has no place in Austria” and had threatened to fire the government if it did not get tougher on migrants from the Middle East. By contrast, Van der Bellen strongly supports the European Union and advocates liberal migrant policies. The EU hailed his victory as bolstering European unity at a time of many challenges. “It is my pleasure to extend my wholehearted congratulations on your election. … On behalf of the European Council and personally, I wish you every success,” European Council head Donald Tusk said in a statement. The Austrian president, elected for a term of six years, has a largely symbolic position and cannot intervene in the daily running of the country, which is in the hands of the prime minister. However the president does have the power to dismiss the government. Austrian public opinion swung widely during the presidential race, which began with six candidates competing on April 24. In April, Hofer obtained 36 percent of the votes, the best result for the far-right Freedom Party of Austria in any Austrian national election since World War 2. Van der Bellen came in second with 20 percent of the vote, setting up a runoff between the two men. In the first runoff on May 22, Van der Bellen narrowly upset his rival, taking 50.3 percent of the votes. However, Hofer’s party cited irregularities and demanded a rerun, a demand upheld by the Constitutional Court on July 1. In conceding defeat after the second runoff on December 4, Hofer placed a message on his Facebook page calling on all Austrians to stick together in accepting the results, adding that he was “incredibly sad” to have lost.